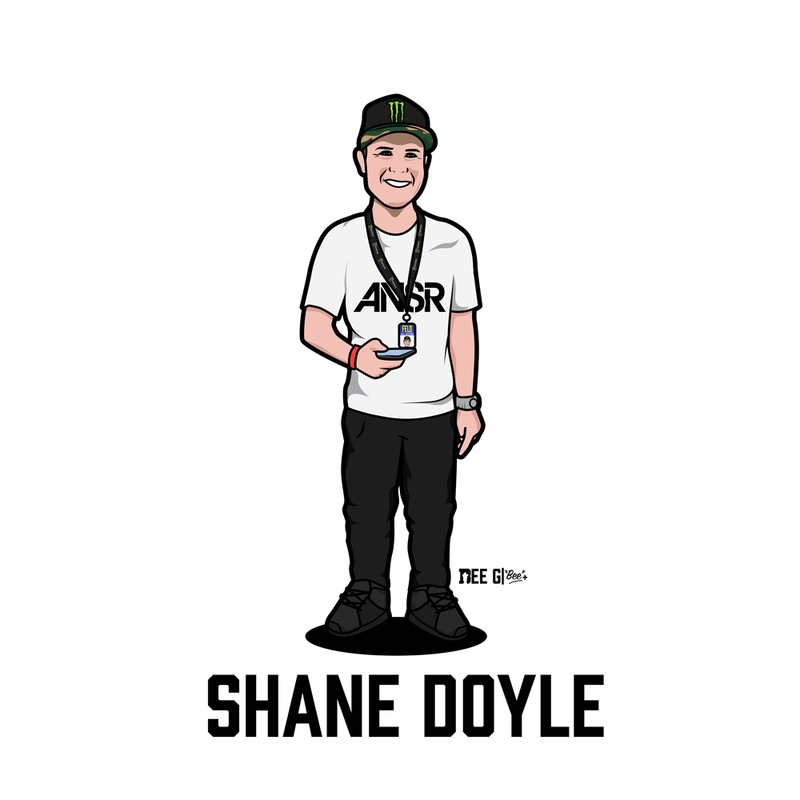 Enjoy some special inside information from rider track walk with our man on the ground Shane Doyle! The first thing I noticed when walking into Angels stadium this morning was how great the track looked given the conditions the dirt crew had to work around this week. The entire track was built in one day (Sunday) and the structures were installed later in the week. The track looks great for the most part other than the sides which are extremely muddy. It will be interesting to see how the track shapes up tonight for the main events. If you follow Ken on social media you probably saw his red plate post with the Drew Brees quote, “There’s 3 stages to this game. You play, you compete, and LETHAL. Be LETHAL.” I talked with Ken on track walk and to be honest, he seemed to not be worried about anything at all. I think this is a new Ken Roczen we are dealing with here, a Ken Roczen that will take 2nd when he has to. Another thing to note is this track will probably be very similar to the 2017 conditions at A2 with rough transitions due to the massive amounts of rain and soft dirt. As we all know, a confident Ken Roczen is a dangerous Ken Roczen and I think the confidence is there. ET3 has had a quiet but good start to the season. You may remember the start of 2018 going terrible for the Kawasaki rider as he had problems at A1 then missed round 2 in Houston. In talking with Eli on track walk, he explained that he liked the triple crown format and it was good to him last year. I would look for Tomac to be good tonight given the conditions. But also like Ken, I think he is playing it safe right now and not pushing the fact. Is Blake Baggett “a guy” now? This is the question I have coming into today. 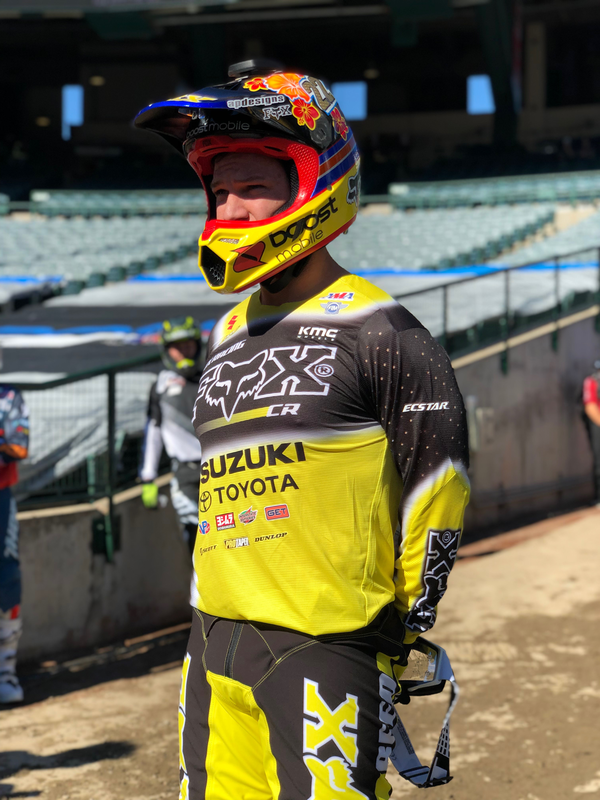 I think Blake can be one of the top guys every weekend, he’s got the speed and fitness that was made clear last weekend as he won his first 450SX main event. I would look for BB4 to pick up right where he left off in Glendale. Is Jason Anderson back to the 2018 rider we saw win the 450SX championship? Well, he never left. He made it clear last weekend that the pressures of interviews, getting his championship ring, and just being pulled around everywhere made it difficult for him to focus on solely on the race. The champ was back to his normal self in Glendale, passed Roczen for the lead, led laps, then eventually got tracked down and passed by Blake Baggett. I would look for Anderson to be on his A game here tonight. I didn't speak with Colt today, but he has be pretty proud of himself at this point. 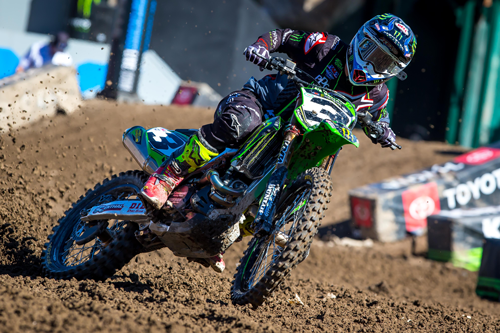 Two great weekends have him still in the points lead ahead of last weekends winner Adam Cianciarulo. I fully expect Colt to be on the box here tonight. It's safe to say that Adam Cianciarulo is the probably fastest 250SX rider in the West coast series right now. With that being said, he’s also known to push the limits. 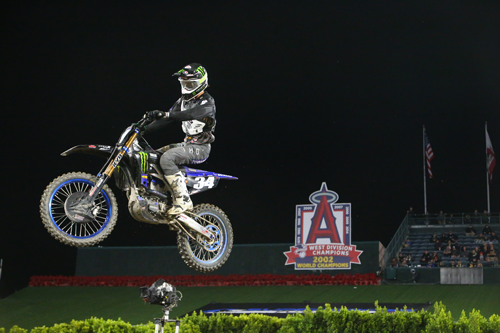 Last weekend we saw a very smooth and constant AC as he went on to win the 250SX main event. Adam has also been working heavily with former factory Supercross athlete Nick Wey which seems to be helping a ton. Im looking forward to see how Adam works around these conditions today here in Anaheim. The biggest story of the weekend is HRC Honda's Ken Roczen leading the 450SX Championship with the red plates! Hear from HRC Honda's PR Front Lady Mandie Fonteyn on the story exclusively here on Race Hub! Hear from Dean Wilson's privateer team manager Paul Perebijnos on the story of Wilson's A1 performance and their goals for tonight! 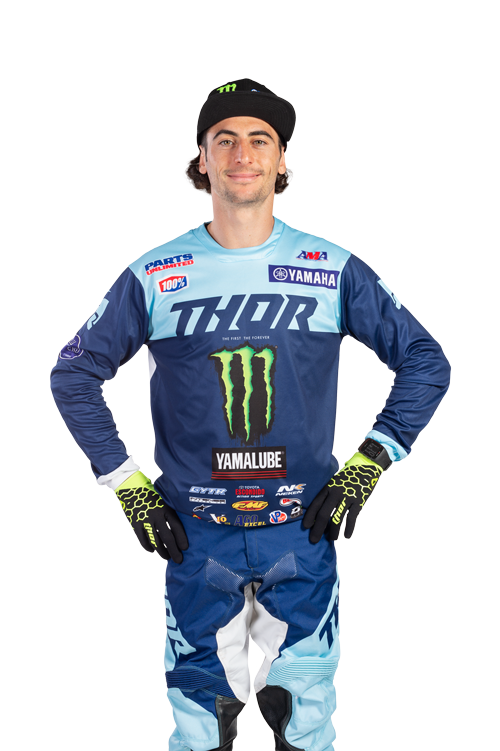 And we have word from one of the most charismatic racers in the 450SX field, Adam Enticknap! A man of many talents and a beast behind the handlebars! 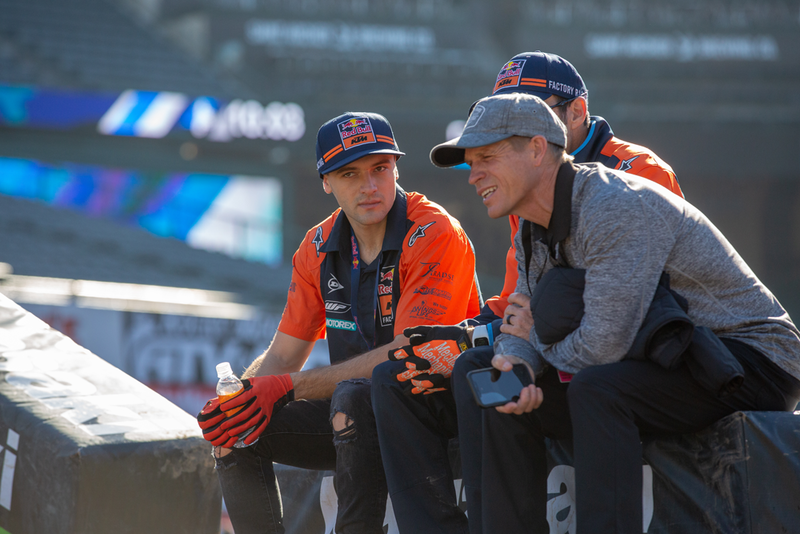 Track walk is complete at Anaheim and the word on the street is that the track is pretty soft in some areas and very soft in others. Lot's of chatter about the whoops and the sand section. 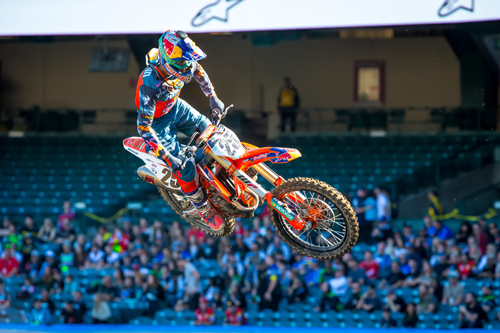 How will Eli Tomac and Cooper Webb do tonight? Webb could be poised for a break out! Hello race fans, and welcome to Race Hub. 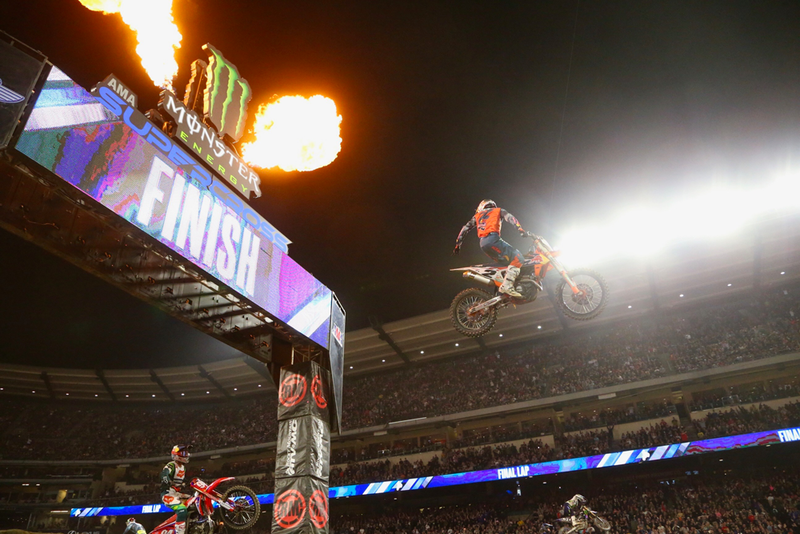 It's time for Round 3 of the 2019 Monster Energy AMA Supercross an FIM World Championship at Anaheim! This big buzz in the pits is centered around a couple of hot items. First and foremost, the uncertainty of the 450SX division. 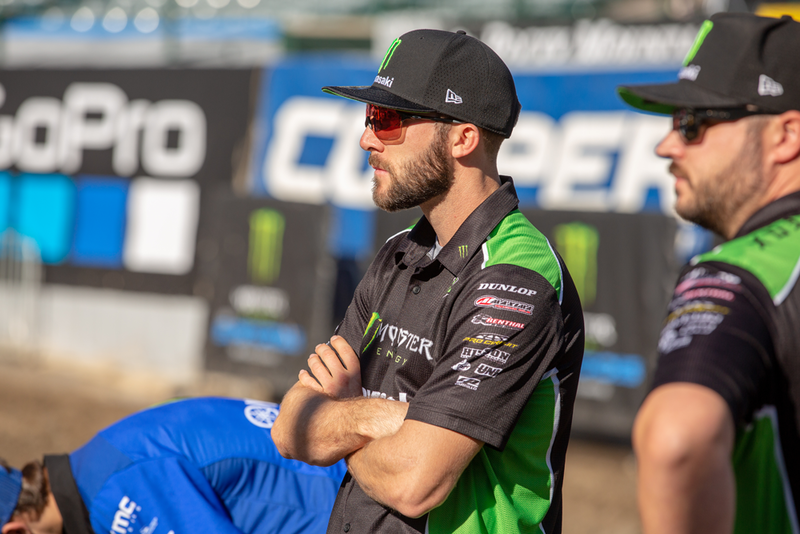 We've seen surprise names at the top of the speed charts in qualifying, two surprise winners and one of the most unpredictable fields in Supercross history. Heading into the first Triple Crown format of the year makes today extremely exciting and with three Main Events to race, wow, who is going to capture it? 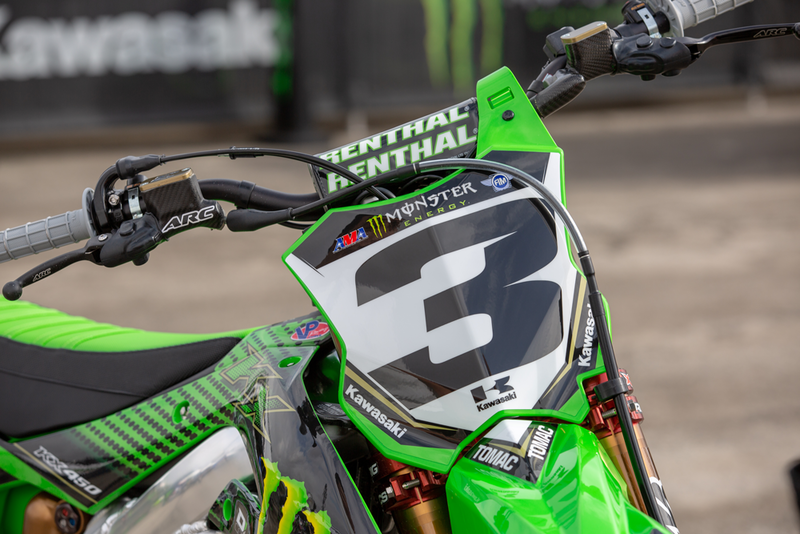 Eli Tomac was the 2018 Triple Crown Champion and has yet to win this season. 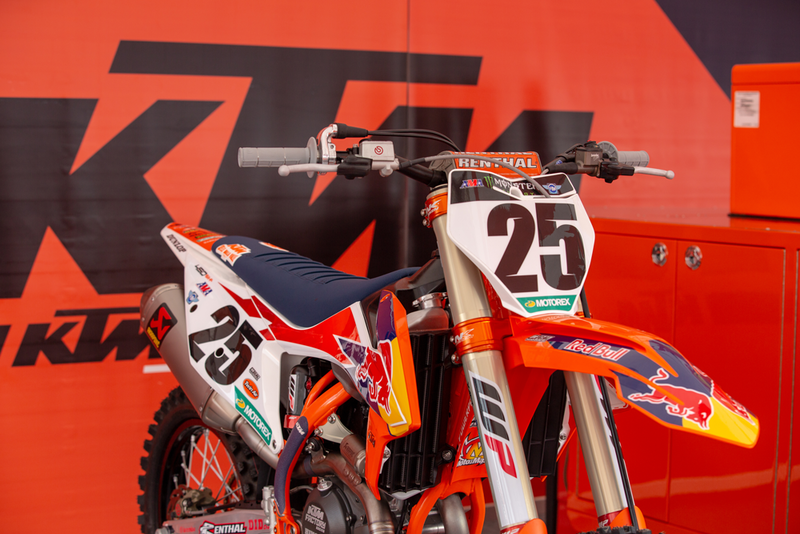 Other question marks are centered around Marvin Musquin's mysterious knee injury and the fact that Ken Roczen is carrying the red plates. 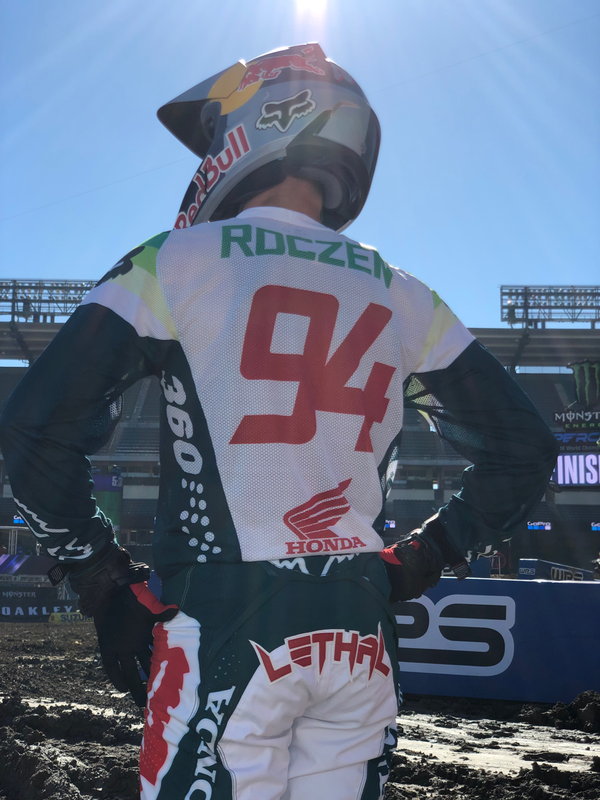 What a story with Roczen! Comeback after comeback, he is the man after two rounds coming into a race that has not been kind to him in recent history. Stay tuned for inside information all day long right here on Race Hub!